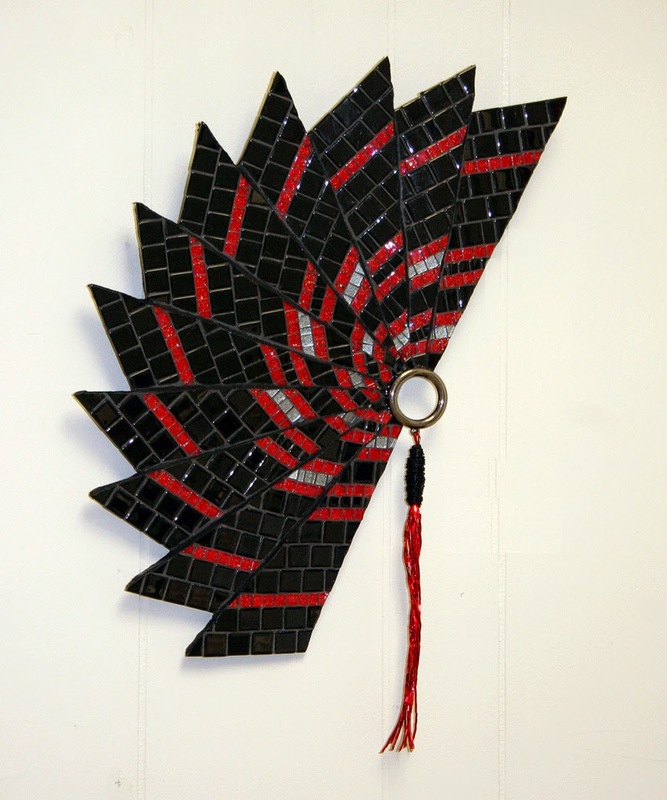 Dotti's Black & Red FANtasy, just back from being exhibited at TECAC - The Electric Company Artists' Co-op in Bedford, is now in Cornerstone Gallery at Bower Center. This is another mosaic in an East Asian theme. Come by and see this and many other beautiful art works ion Second Friday. Bonnie, Sally, Gene and Sergei and continually adding new art works as other pieces find new homes!